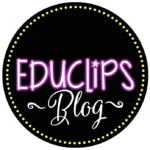 Purchase this product now and earn 48 EDUCLIPS Points! 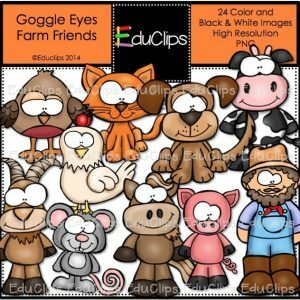 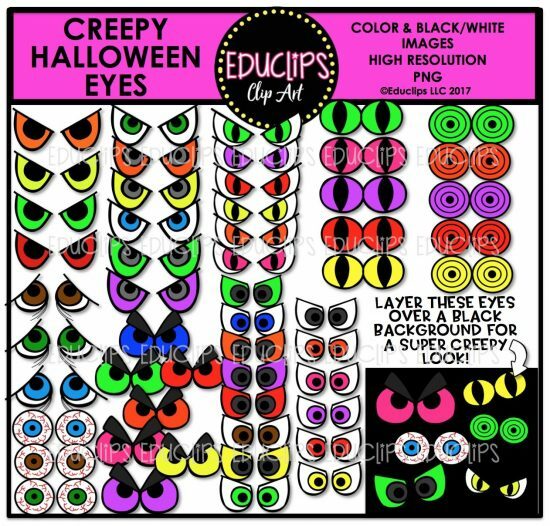 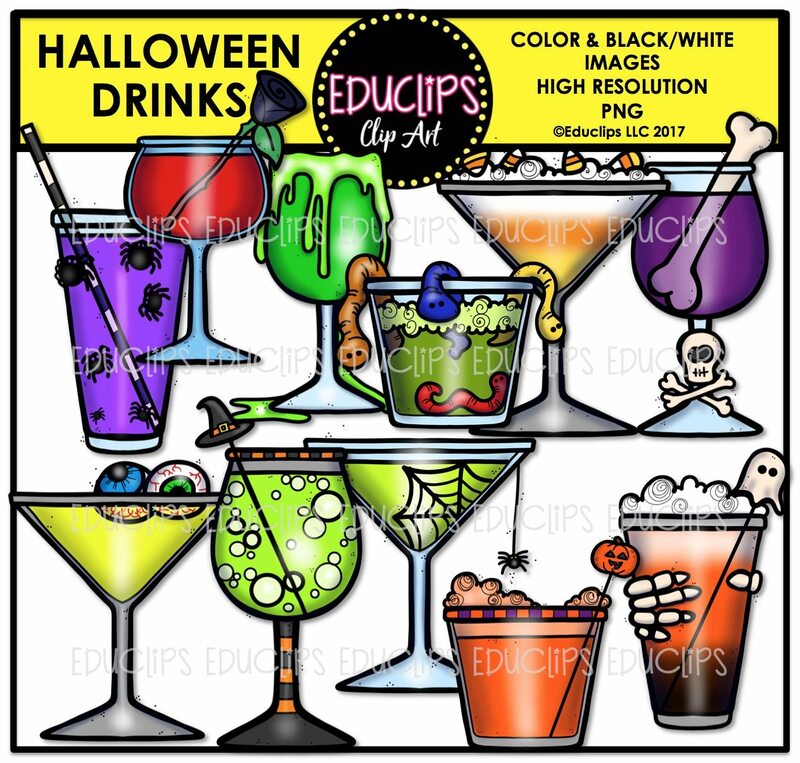 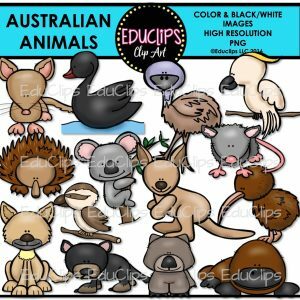 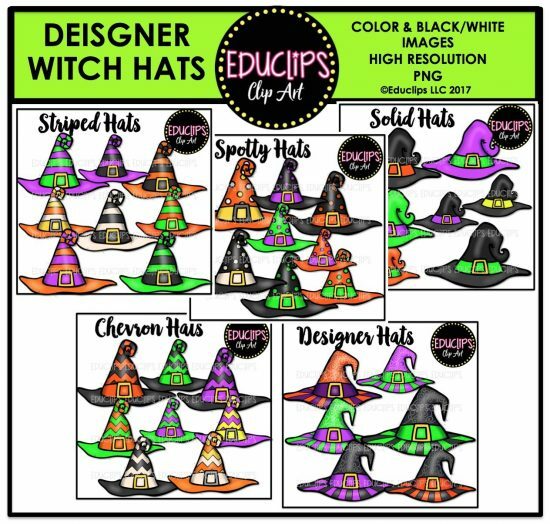 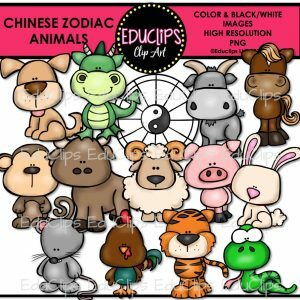 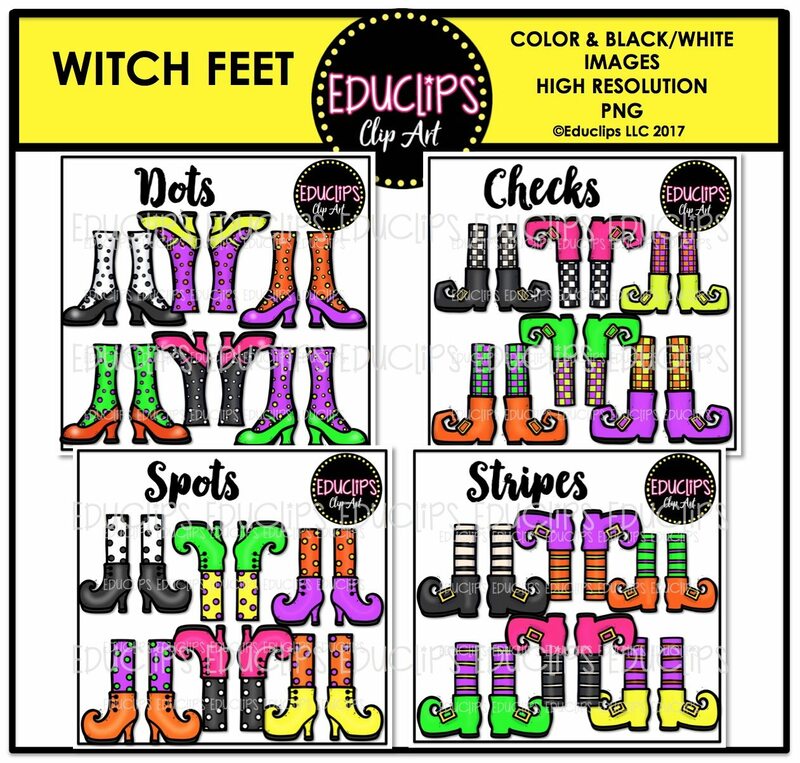 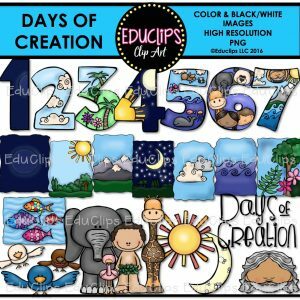 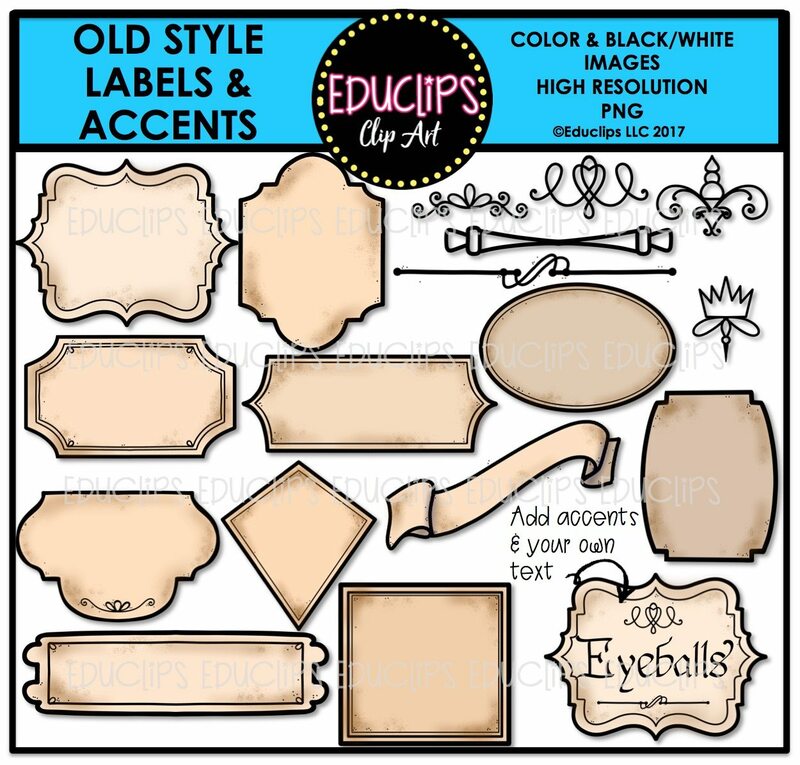 This is a huge collection of 16 sets of clipart! You’re receiving a big discount when you purchase these sets in this bundle. 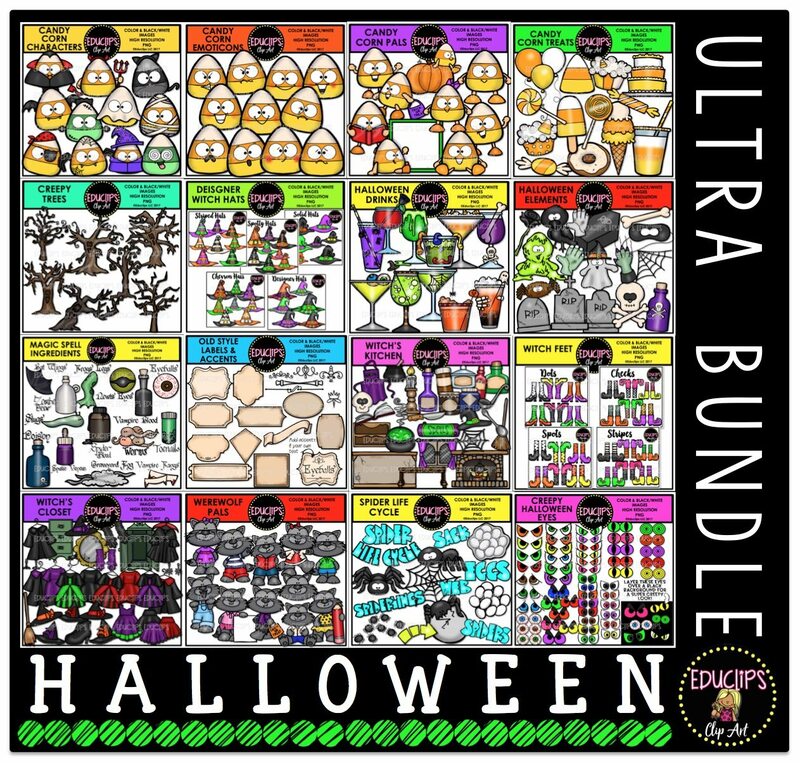 This ultra bundle is valued at over $75. 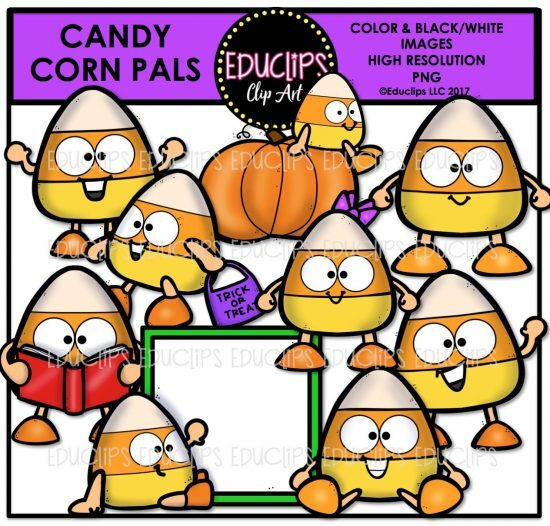 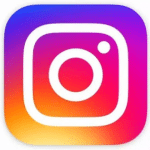 Candy Corn Characters, Candy Corn Emoticons, Candy Corn Pals, Cnady Corn Treats, Creepy Eyes, Creepy Trees, Designer Witch Hats, halloween Drinks, Halloween Elements, Old Style Labels, Spider Life Cycle, Werewolf Pals, Witch Feet, Witch’s Closet, Witch’s Kitchen, Magic Spell Ingredients. Candy corn characters: bat, cat, devil, Dracula, Frankenstein, ghost, mummy, pirate, spider, wizard, zombie. 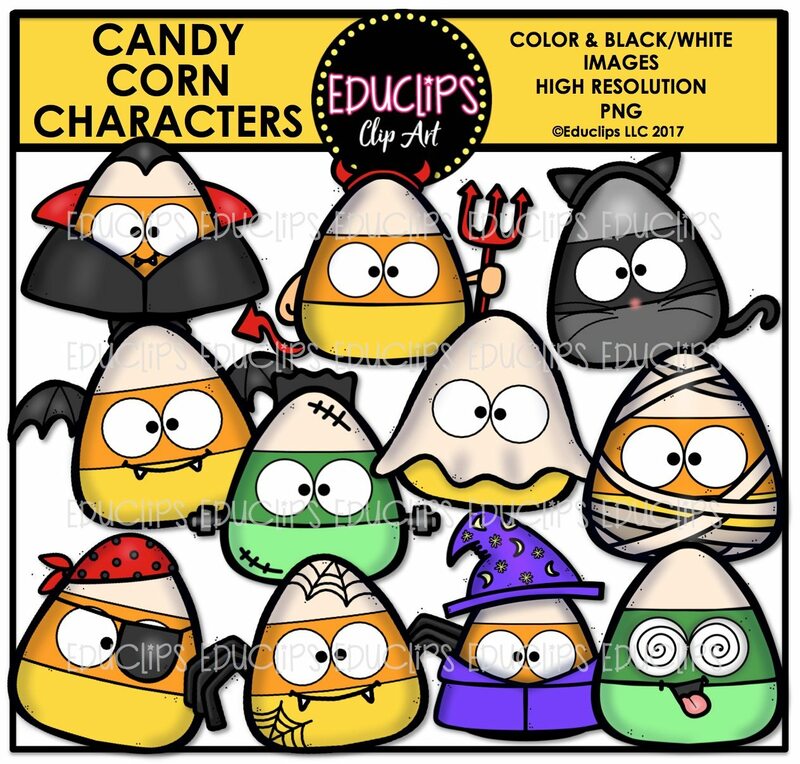 Candy corn showing a range of 11 emotions including anger, confused, content, excited, happy, proud, sad, scared, shocked, shy, worried. Candy corn figures in a variety of poses and positions including standing, waving, sitting, walking with trick or treat bag, reading, with poster board. 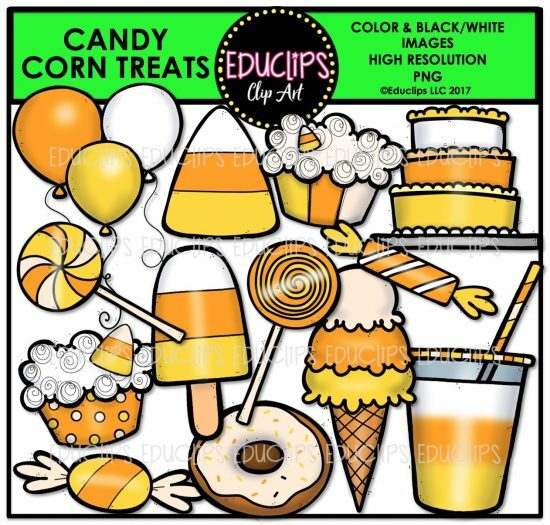 Candy corn, balloons in candy corn colors, cake, candies, cupcakes, donut, drink, ice cream, lollipop, popsicle. 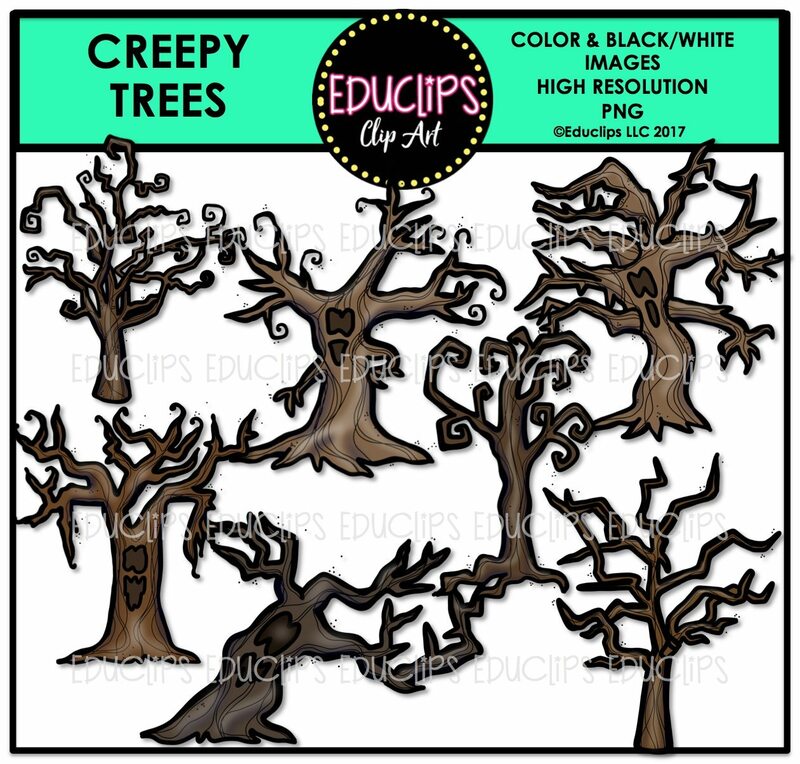 Twisted and contorted trees and branches, some with faces, arms and fingers! 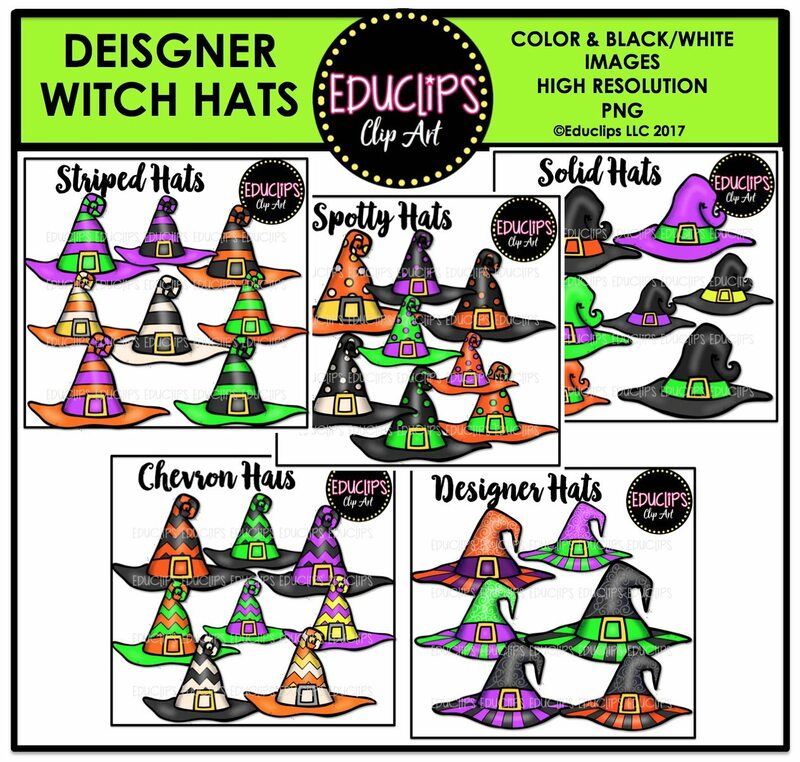 Hats in a variety of bright colors and designs: chevron, designer, solid, spotty & striped. Halloween themed drinks containing spiders, eyeballs, slime, worms, fangs, bones and rose. 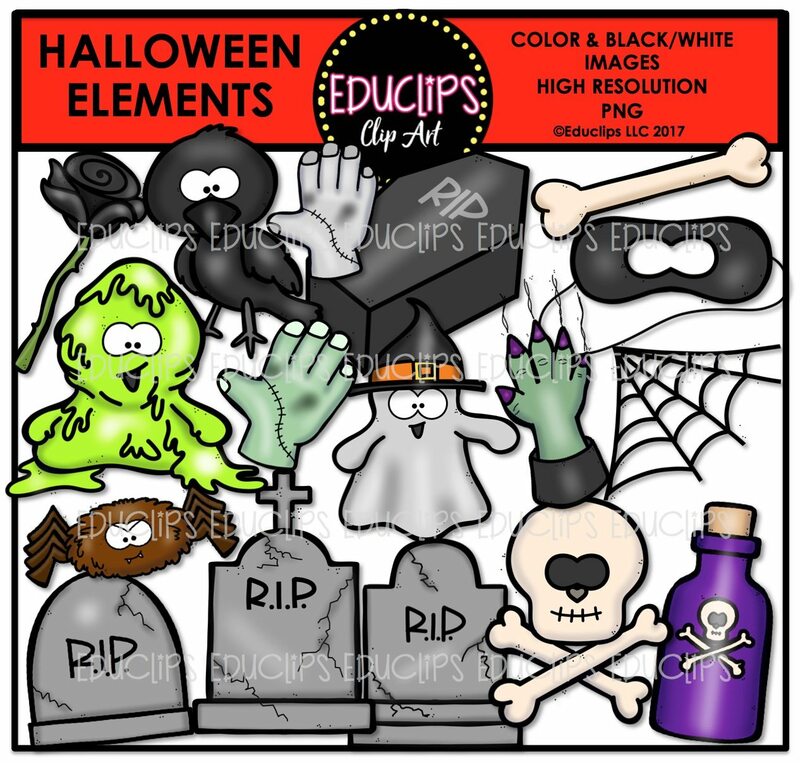 Black rose, bone, coffin, gravestones, mask, poison, raven, skull and crossbones, slime, spider, web corner, witch ghost, witch hand, zombie hands. A variety of old labels with accents to customize them. 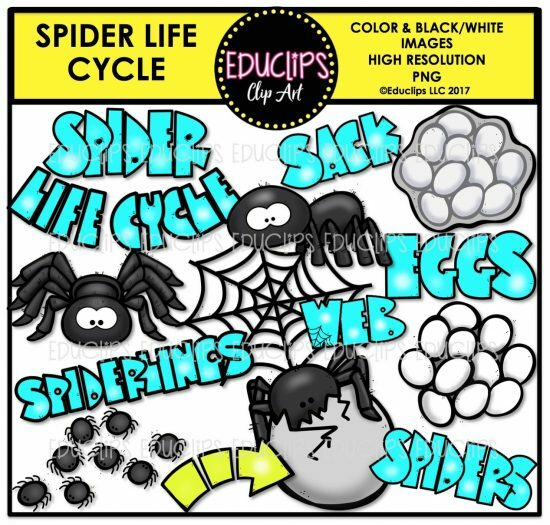 Arrow, egg sack, eggs, spider hatching, spiders, spiderlings, web and word art sign. 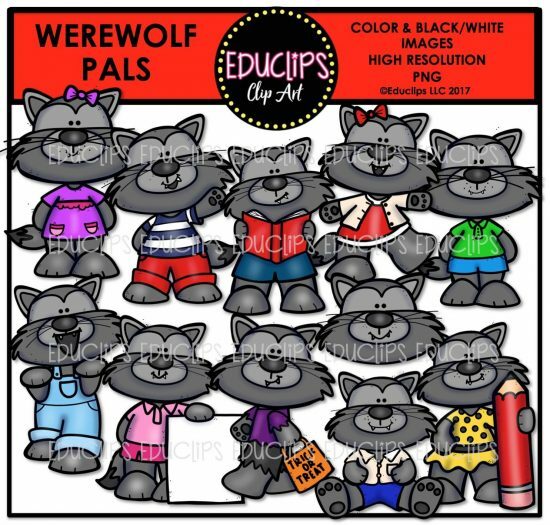 Werewolves in a variety of poses and positions: standing, dancing, waving, with poster, holding pencil, reading, sitting, walking with trick or treat bag. 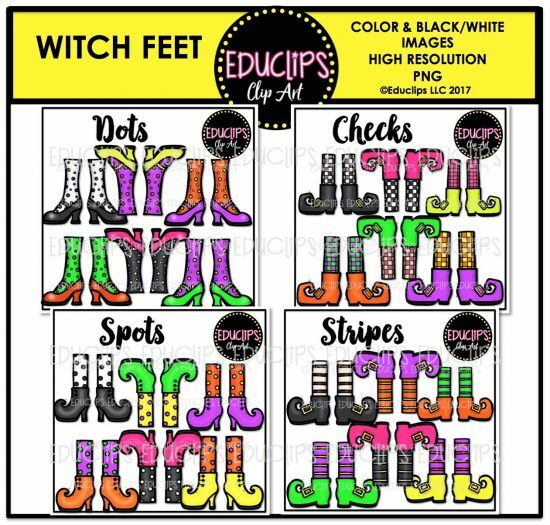 A selection of feet in a variety of colors and designs: checks, dots, spotty, stripes. 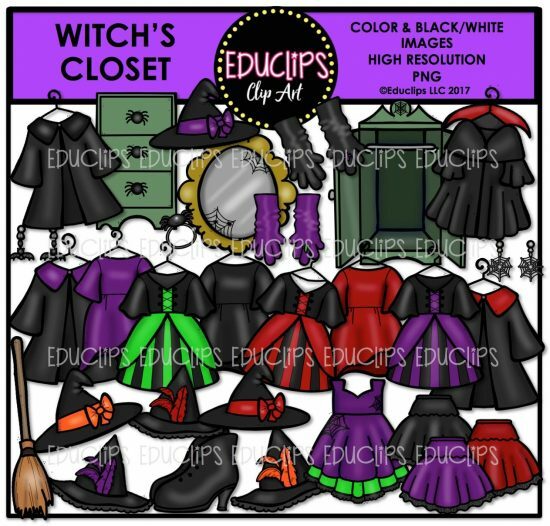 Boots, broom, cloaks, closet, drawers, dresses, earrings, hats, mirror, gloves, ring, skirts. 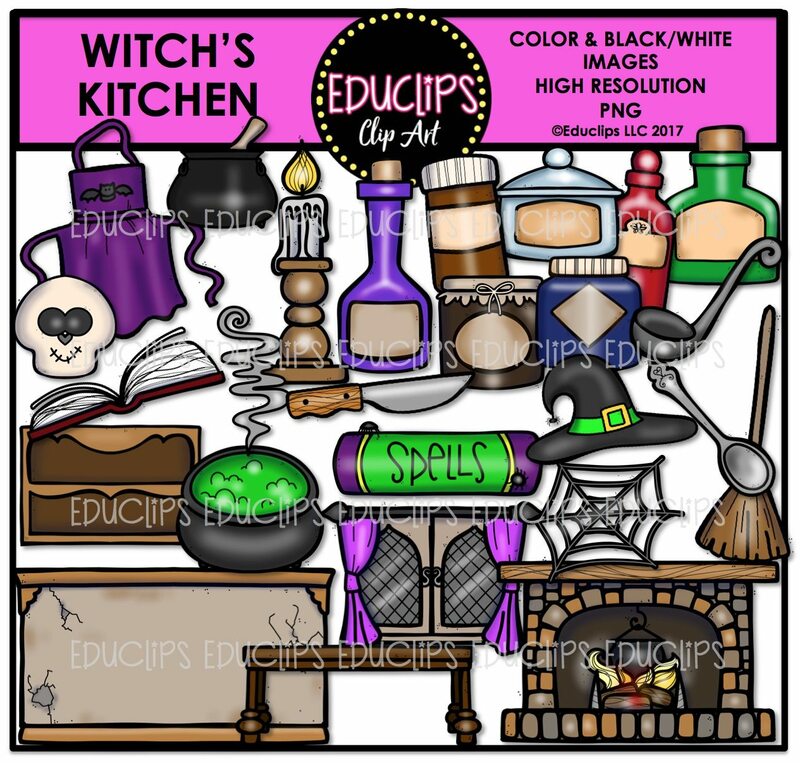 Apron, book, bottles, candle, cauldron, fireplace, jars, knife, ladle, mortar and pestle, shelves, skull, spell book, spoon, table, vapor, wall, web, window, witch hat. 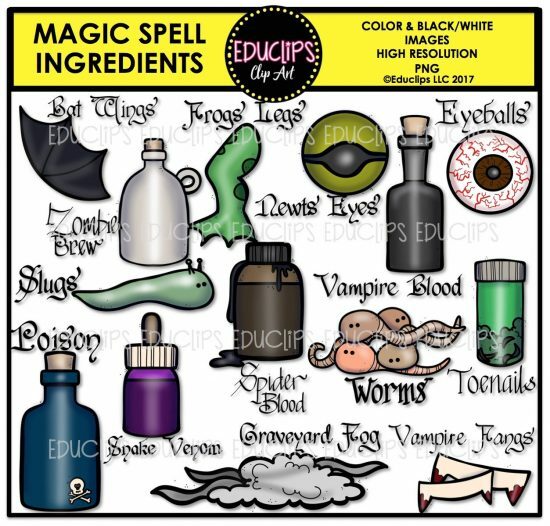 Bat wing, eyeball, frog leg, graveyard, newt eye, poison, slug, snake venom, spider blood, toenails, vampire blood, vampire fangs, worms, zombie brew.